The fact that multiple off-season transactions have left Boston's young outfield intact should pay huge dividends for The 2017 Carmine Hose. 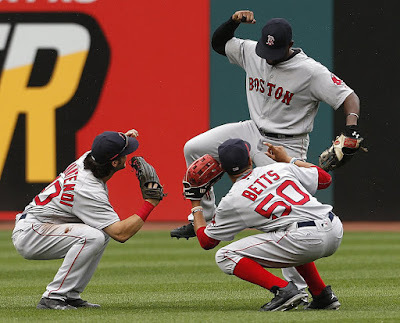 Having Andrew Benintendi in left, Jackie Bradley, Jr. in center and Mookie Betts in right will give Boston (arguably) the most complete and athletic outfield in all of baseball. 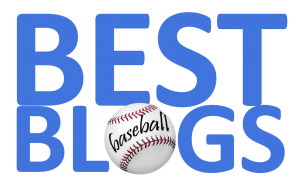 Aside from the offensive prowess that all three should show in 2017, their collective defensive skills will make an already impressive starting rotation even tougher to beat. If, as an opposing hitter, you happen to square-up a gap shot against—say—Chris Sale, chances are that one of the three 'Killer B's' will track it down and send you back to the dugout. The disappointing three-and-out playoff "run" last year should serve to make this David Ortiz-free squad even hungrier for hardware. The core of young outfield stars will not hinder that quest.